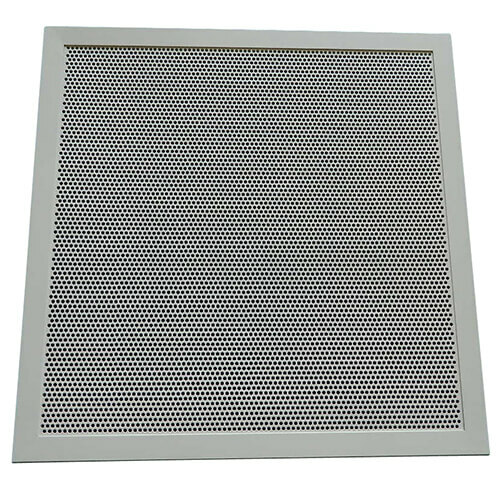 The Acoustic Transfer Grille (ATG) range has been developed to reduce noise transfer or cross-talk from one are to another. Suitable for installation in Doors, Partitions and Walls. Single mounting flange option (ATG/F) or front mounting flange with telescopic rear flange for installation thicknesses from 42mm to 110mm (ATG/BF). Available in a range of sizes, finishes and colours to meet you installation requirements. 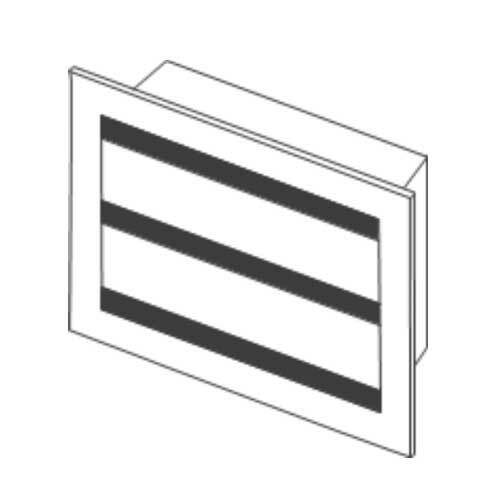 Our Acoustic Transfer Grille (ATG) range are suitable for use in doors, partitions and walls where ventilation is required but sound transfer is undesirable. Typical installation examples would include, schools, hospitals, gymnasiums and public buildings. The ATG acoustic transfer grille has been specially designed to reduce noise transfer, also referred to as cross-talk – from one area to another by channeling the air through the grille across specially designed sound absorbing acoustic media. The acoustic media lines the internal sections of the grille. 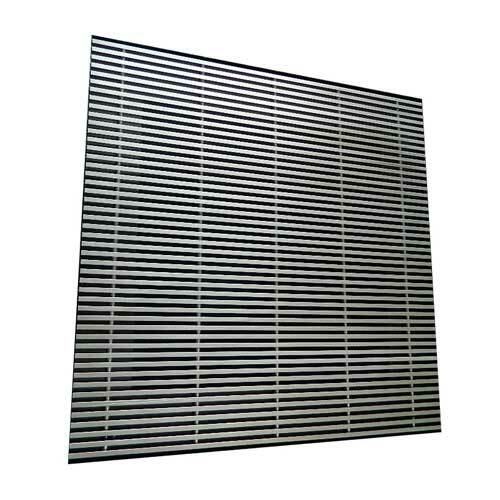 The Acoustic Transfer Grille has been developed to absorb the maximum amount of noise whilst minimising the affect on the ventilation properties. 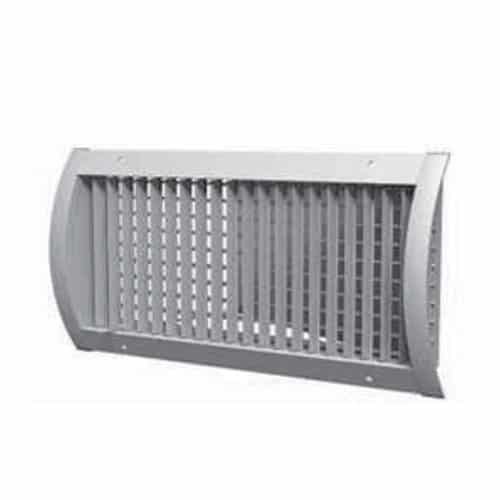 The acoustic transfer grilles can also be installed in series for higher air transfer rate requirements. The ATG is available in two variations. The ATG/F comes complete with a single mounting flange. The ATG/BF comes complete with mounting flange plus a loose telescopic rear flange to suit a minimum thickness of 42mm up to a maximum thickness of 110mm door or partition. 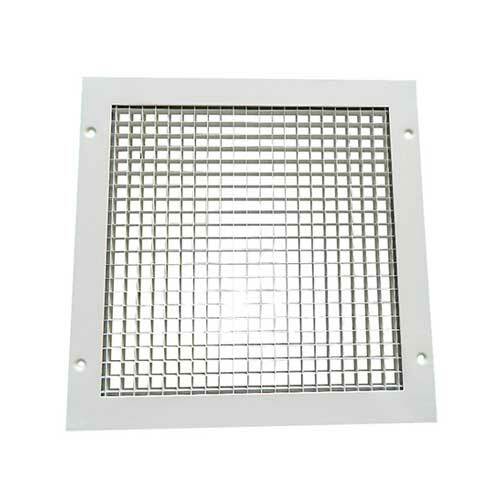 Our Acoustic Transfer Grilles are available in a range of sizes and finishes to suit your requirements. The standard finish will be RAL9010 or polyester powder coated to your requirement. As a manufacturer of ventilation products, we offer a bespoke design service to construct ventilation products to your exact project requirements. Learn more about our Bespoke Ventilation Service here.